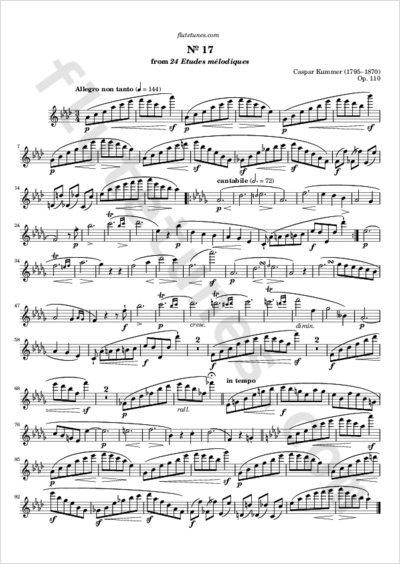 This is the seventeenth piece from 24 Etudes mélodiques, Op. 110 by German flutist and composer Caspar Kummer. This collection has also been published in English as 24 Melodic Exercises.